Erm... Justin. WHAT is going on here? Biebs posts a photo of him having giant cutlery fight. 24. Erm... Justin. WHAT is going on here? 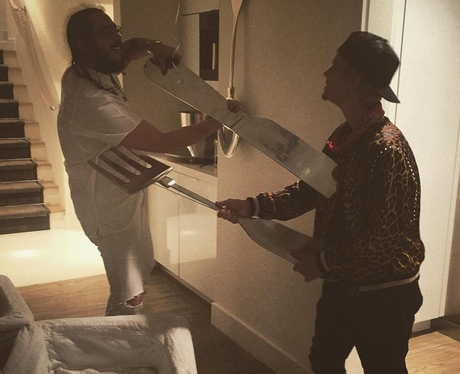 Biebs posts a photo of him having giant cutlery fight.